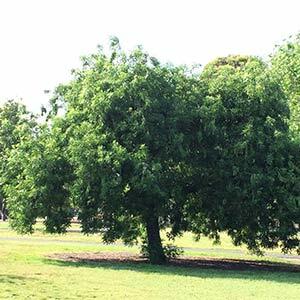 One of the most valuable assets to the Australian garden, Deciduous Trees, provide cooling shade in summer and let the light and sun in winter. Species and varieties range from large trees such as elms and beech trees, to small Japanese maple trees, magnolias and crepe myrtles and yes Australia does have a few of its own, native deciduous trees. Selecting the right deciduous tree will depend a lot on the purpose and growing conditions. If you are looking at purely a shade tree the selection is wide, it comes down to size and climate. However if you are after autumn foliage, flowering deciduous trees or perhaps weeping types, maybe something with a beautiful bark, then even more research will be required. One way of determining the type of trees best suited for you use is to make a list of desirable characteristics, size, flowering trees, autumn colour, purely ornamental or dual purpose, root systems, bark etc. Then simply go to your local nursery and see what is suited. However most nurseries do not carry the range that is really available, so browse our list of deciduous trees and see what is available. The Illawarra Flame Tree is one, however it is really only sort of deciduous, it drops it leaves when it flowers. The Silky Oak is another, although it to is really only semi deciduous tree. A little more in the style we are used to, with autumn colour and losing its foliage in winer is Nothofagus gunnii, a very rare deciduous beech tree from tasmania, small 2-5m depending on conditions but beautiful autumn colour. Smaller growing deciduous trees have a place in the garden for a number of reasons, they may not provide shade for a house, or even an outdoor area, however they can provide valuable shade for other parts of the garden. Those plants that need protection from the afternoon sun can find a happy spot in the dappled light of a smaller tree. And of course, the autumn color, always an added bonus. How Tall Will This One Get ? The answer will be, depends on conditions, the problem is that size varies greatly depending on soil conditions, moisture, climate and a few other factors, so heights are given as a rough guide only. It is well worth while looking around the local area to see what size the same species are in similar conditions. A nurseryman or indeed any other source can only give a rough idea. The Copper Beech, we are lucky enough to have a magnificent specimen, a monster of a tree, but a cool haven in summer. Silver Elm, ours did get elm leaf beetle, but we had it ‘injected’ and it is happy, this deciduous beauty provides shade to the house in summer and lets the light in in winter. Acer palmatum dissectum seiryu, this is the only upright green Japanese maple with those lovely fine dissected foliage. Magnolia Felix, the large lipstick coloured flowers in late winter to spring on bare branches make this one a standout, however we really do like lots of the deciduous magnolias. Prunus, weeping flowering cherries and flowering apricots are wonderful feature trees, we love them all. Punica granatum the Pomegranate, yes we know its a little ‘scrappy’ however those wonderful fruits that hang on the tree well into winter make it look ‘ornamental’.